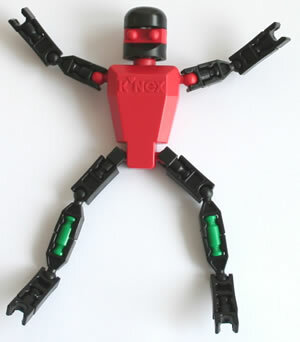 The K'NEX Brick parts below have now been discontinued. 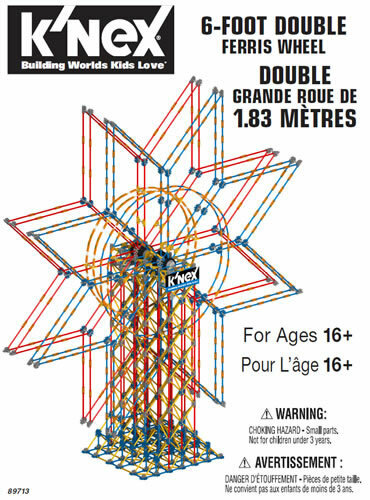 Click on any image to view further details, or view current K'NEX Brick parts. Colours may vary. Drives most classic K'NEX wheels, forwards and backwards. Requires 2 x AA battery (not included). K'NEX Brick Battery motor with yellow axles. Drives most classic K'NEX wheels, forwards and backwards. Requires 2 x AA battery (not included). As used in Dinosaur 20+ Model building set. Colour may vary - red or yellow. The K'NEX Brick Separator makes pulling apart bricks easier. 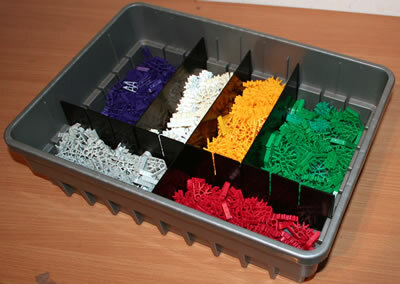 Just place the separator between the K'NEX Bricks, pinch in the separator... And they're out! Insert a classic K'NEX rod into the housing, twist it to wind it up, and then let it go to see it run! Colour and shape may vary. 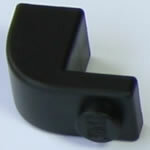 Used to join any standard K'NEX connector to the hole in a standard K'NEX brick. For connecting Bricks to K'NEX micro connectors. As used in sets such as the Musical Ferris Wheel and Pirate Ship Park. Actual person provided may vary from photo, depending on stock available. Fits onto any K'NEX Brick. Colours may vary. Pack of 20 x K'NEX Brick spring motors (99132). 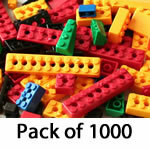 Pack of 1000 K'NEX Bricks, weighing approx.1.5Kg (3.3lb). Click on the image to view an approximation of set contents, though note that the colour and quantity of each type of brick may vary from that shown.